Two years ago if you would have told me that one of the most consistent players on the Penguins would be a more grit type player, I would have told you that you were crazy. Yet, here we are. Patric Hornqvist is as underrated, yet consistent, as players come. He reminds me of the go-to song on your playlist. You may not listen to it everyday but when you do it's exactly what you needed. Lately though I have almost been forced to watch him. It is like some spell I under, I am simply drawn to what he is doing. And let me tell you 99.9% of the time it's perfect. I am not discussing any numbers or stats. This is an article about emotion. I am simply saying to watch a game and let me know what you see every time he is on the ice. He is a workhorse, and, frankly, one of the only players that can hang with either Crosby or Malkin. The ability to stick with either center is one not discussed enough. While Crosby and Malkin are two of the best in the world, they play two completely different styles of hockey. For any player, let alone one we never considered worthy previously, to be able to hang with them, it's kind of amazing to watch. Now look at last season while he was out of the line up. To say that the Penguins were flat without him would be an understatement. He does so much that the Penguins need. He gets in front of the net, he gets in the "dirty" areas and he harasses opposing goalies. So much so that when I asked a Flyers fan who he hated the most on the Penguins his answer was not 87 but rather 72. Yes, he harasses goalies THAT much. This stands so true that I am praying at some point the Penguins put Hornqvist with Crosby and move Kessel with Malkin. Malkin typically prefers more skilled wingers while Sidney has always enjoyed guys like Duper that are more gritty and go to the front of the net (an area Sidney does not like anymore after the Orpik broken jaw incident). 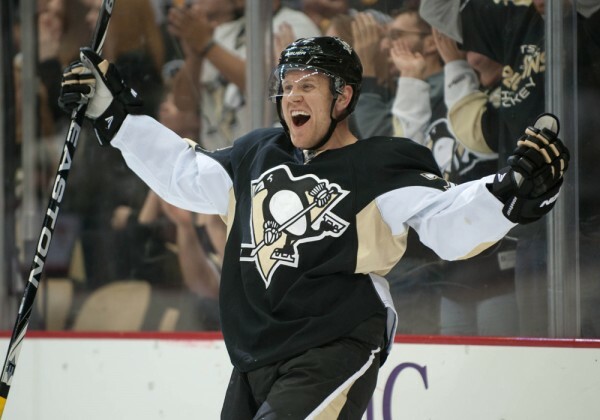 So thank you Patric Hornqvist. You are a piece that we didn't even know we desperately needed. Oh and thanks for infuriating Flyers fans in the process. You're the real MVP, Patric.